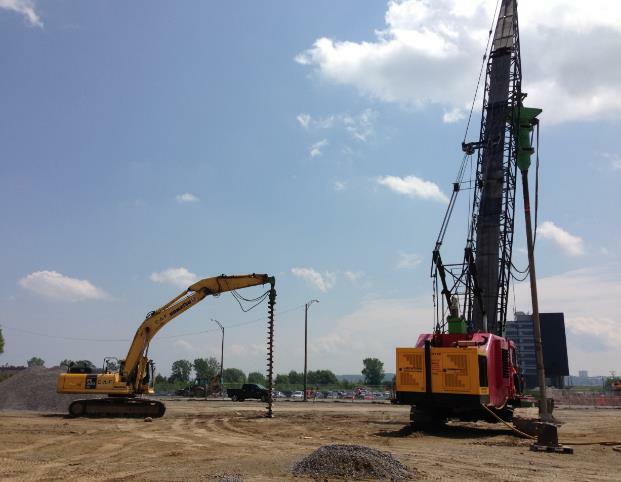 Menard Canada was awarded by Québec City the soil improvement works requiring vibro replacement for the foundation of a future federal building located on the Estimauville site in the Beauport district of Québec. 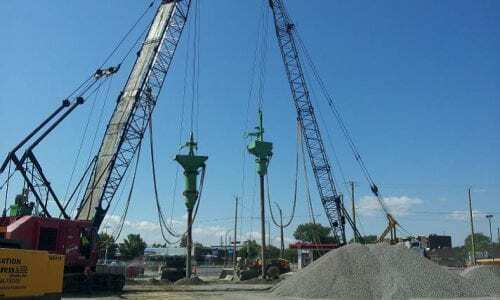 As a general contractor, Menard Canada prepared the working platform (removal of existing foundations, removal and decontamination of a former gas tank) and protected the existing public service utilities. 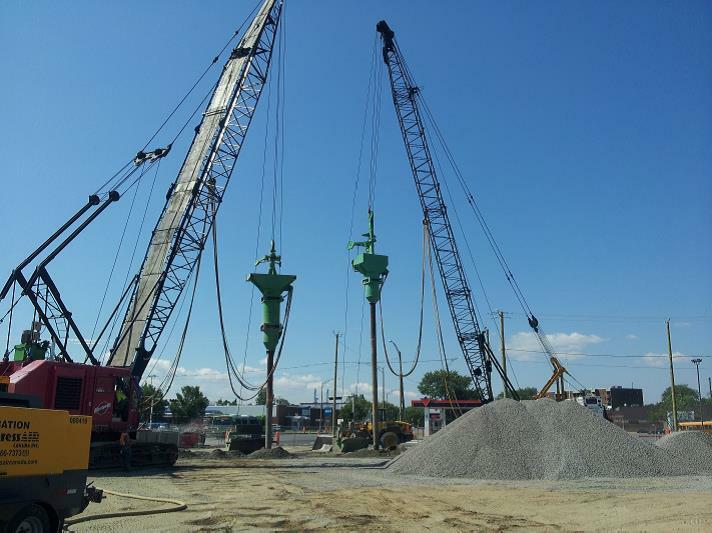 Two dry method vibro-replacement rigs treated an area of approximately 4600 m2 within the 48 day time frame imposed by the construction schedule while also ensuring integrity of existing utilities. 14 Standard Penetration Tests (SPT) and 10 Pressuremeter Test boreholes (PMT) were carried out on site. 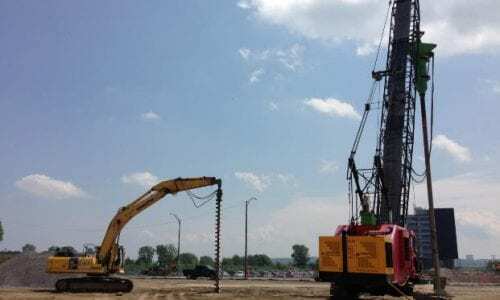 A vibration monitoring program, and the monitoring of induced settlement by vibro-replacement operations were also done as part of the quality control. 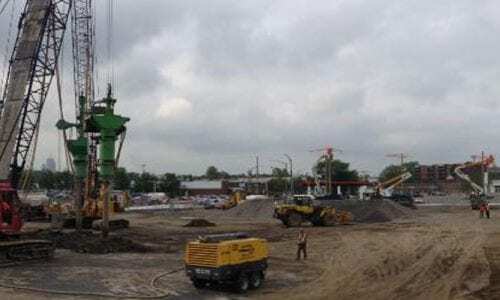 Analysis of the results demonstrated the achievement of the bearing capacity, settlement and liquefaction criteria.